Modern architecture is an art, a practice with its roots in imagination, and a love for aesthetics and form. When we think of architecturally-designed dwellings, we immediately picture impressive abodes, with an emphasis on contemporary features, luxury finishes, and a smart juxtaposition between external and internal spaces. Today on homify we are paying homage to art and architecture, two elements that are inextricably linked, and utilised to create wonderful spaces in which we reside, rest and live. We have gathered 10 incredible one-storey homes that break the monotony of mass-produced housing, those that challenge, delight and impress. For some stylish domestic inspiration, check out the images below and start planning your new home today! 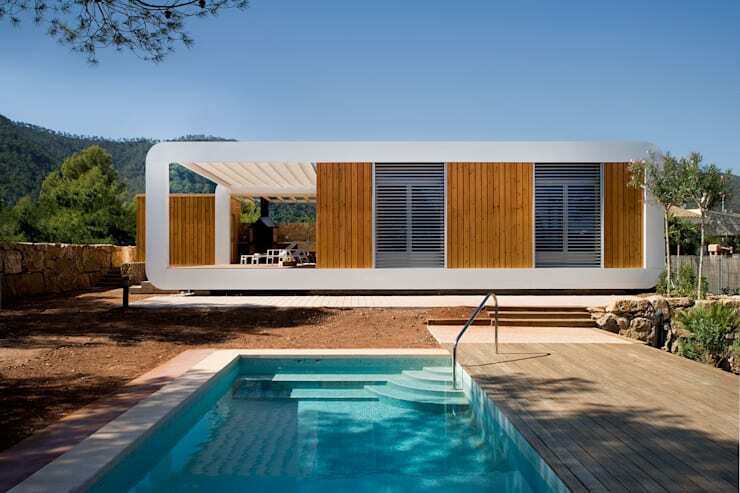 Elegant, retro, and bursting with chic style, this Noem-designed abode is everything you could possibly want from a modular home. Featuring timber cladding and large entertaining spaces, this is an unforgettable and chic one-storey abode. Oozing elegance and style, this gorgeous dwelling by Parrado Arquitectura is a brilliant example of how to create a refined and sensible, yet no less luxurious ambience. There is almost a castle-like grandeur to this spectacular home. From Love Architecture and Urbanism comes one of our all-time favourite homes. Set on a rolling hill, this one-storey dwelling proves you don’t need height to impress! If you need help with your interior design, chat to a professional via the homify website, and get some expert advice. Feel like escaping to the UK’s idyllic countryside? We’ve got the perfect house for you! Designed by The Wee House Company, this micro home is perfect for clearing one’s head and filling your lungs with fresh coastal air. Next up we take a peek at this one-storey home in The Netherlands. 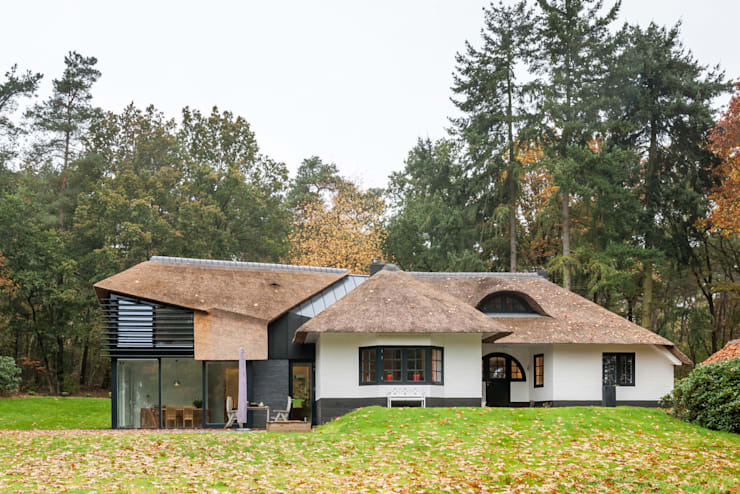 Designed by Maas Architecten, this impressive residence is a sleek juxtaposition between the heritage thatched cottage, and the new futuristic addition. Medium in size but large on style, this home is set up for the entertainer in your life. 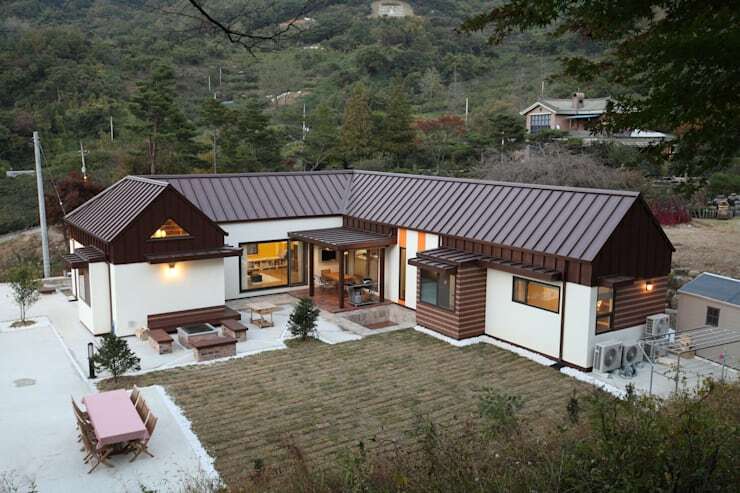 Designed by Home Style Toto in South Korea, the L-shaped property is replete with a host of 21st-century amenities. 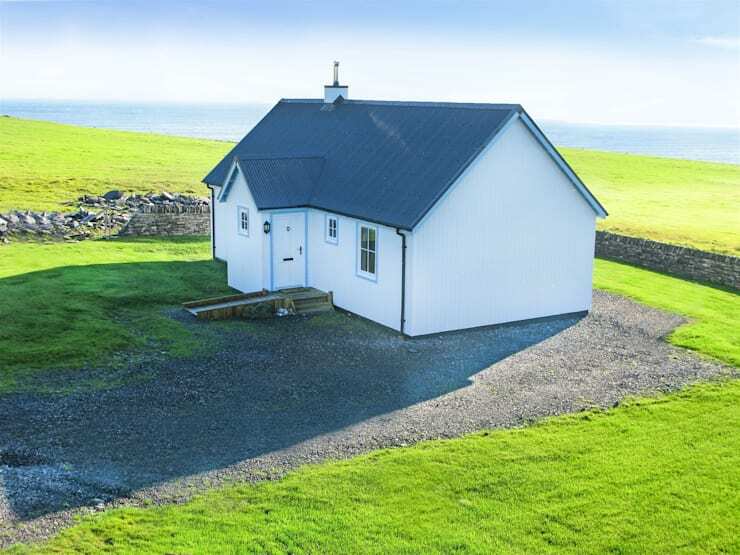 The simple exterior colour scheme works particularly well with the dwelling's surroundings. Who says a small house can’t be big on personality? Compact in size, this DMP Arquitectura-designed residence is charming, characterful and loaded with charisma. Taking a look inside The Edge house by Boutique Modern, we love the uncomplicated style and seamless open-plan living spaces. 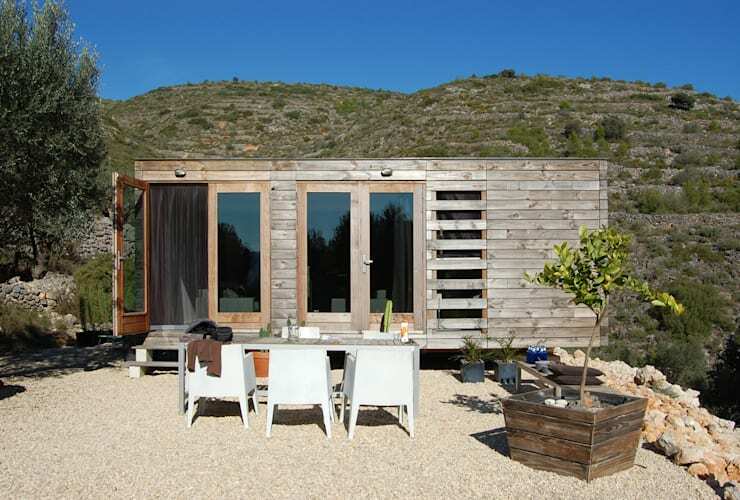 The dwelling is modern, flexible and wonderfully designed to fit into its environmental surroundings. 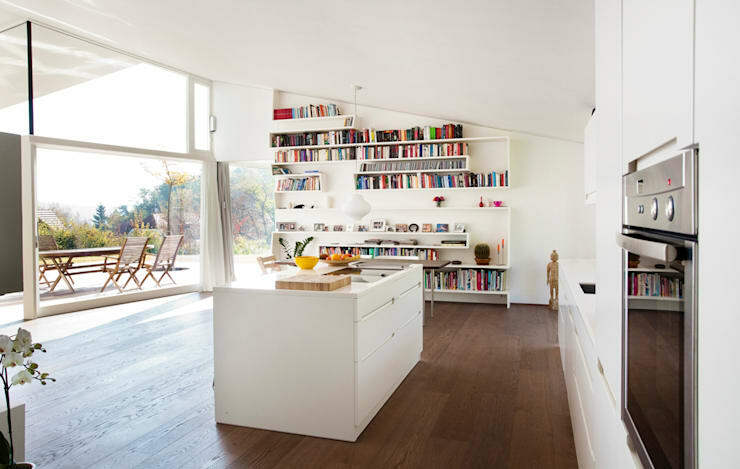 Single-storey homes needn’t be small or compact, as this design from Lab32 Architecten proves. This home is a mansion in size, with a range of architectural features that really help it stand out from the crowd. 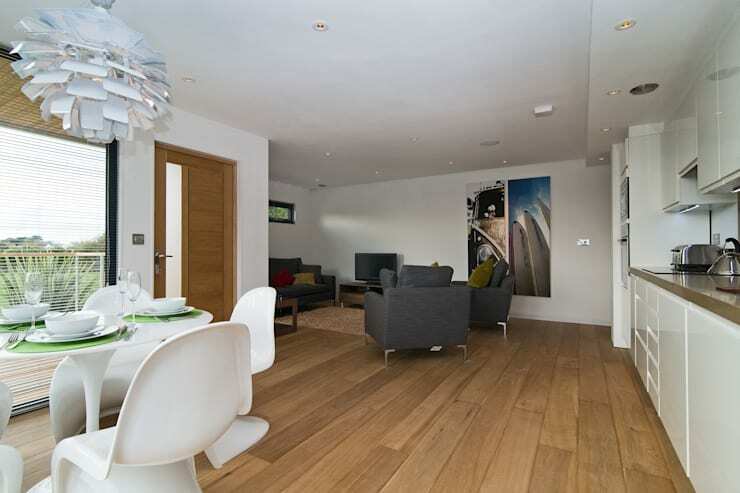 Its sleek and contemporary aesthetic render it a perfect example of modernist design. 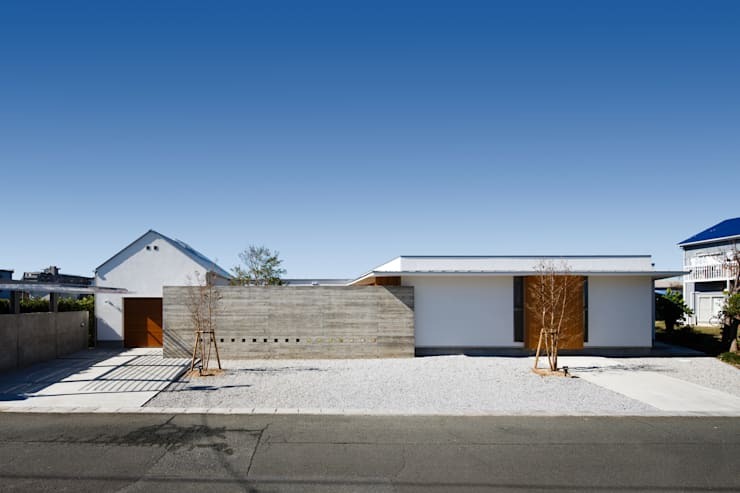 Last, but certainly not least, we are checking out a Hamamatsu-based single-storey residence from Kuboe Architect & Association. 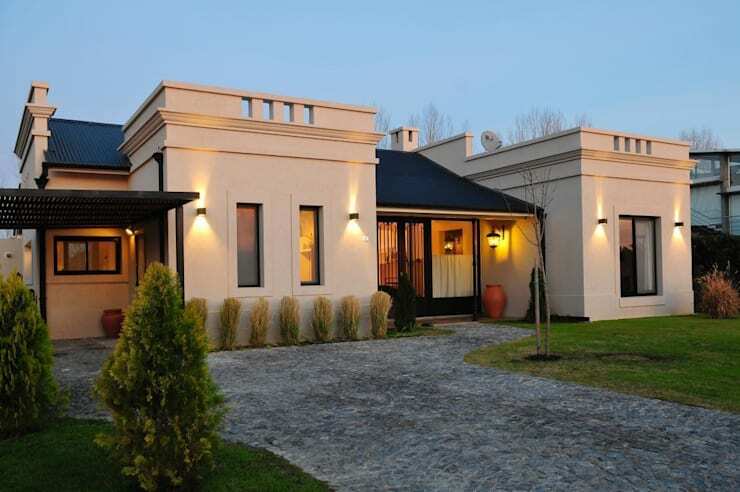 A true triumph of geotechnical design, this impressive house is subtle and sleek, with a hint of drama and vivacity. Which one-storey house is your favourite? Let us know in the comments below!